PM : Tuesday – late eve. It’s very hot and very late but I am just seeing the back of day 75! Three quarters of the way now to 100 days. Feeling less tired now. Still chomping on the sweets! Next thing I’ll be moaning about is having false teeth if I don’t slow down! Still better to eat sweets than drink wine. It’s amazing what you notice when your sober. 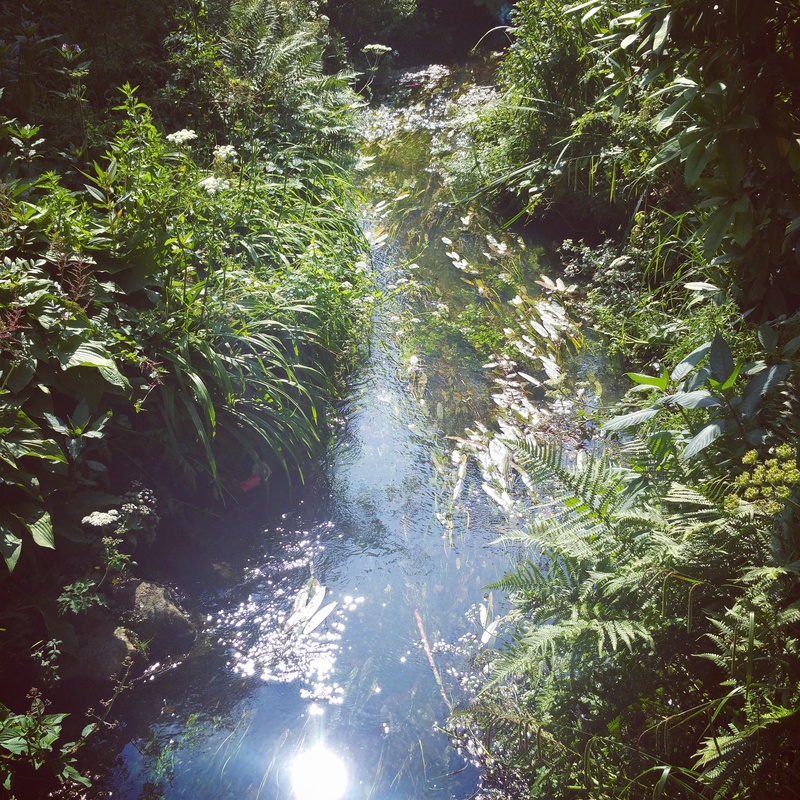 Saw a lovely little stream and when I looked at the pictures I’d taken I quite liked this one. Way to go on Day 75! I love noticing new things now, too!